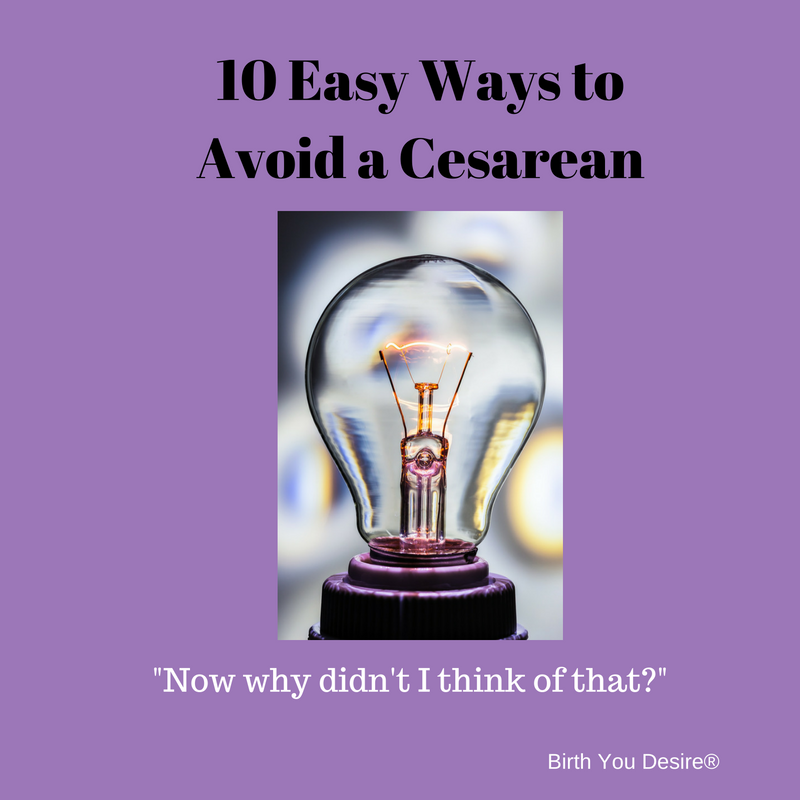 10 easy ways to avoid and cesarean and reduce your cesarean risk. Here are our top 10 tips to stack the deck for an uneventful vaginal delivery. Prepare yourself, take an out of comprehensive hospital childbirth class, learn your choices. Don’t take a standard class and get a standard education. Practice good body mechanics through out your pregnancy. An aligned mother equals an aligned baby. Have a supportive and educated labor partner. Your partner is your anchor. No matter how wonderful your birth team is they cannot replace the love and security you have from your partner. Let baby come when they are ready, avoid unnecessary inductions and subsequent interventions. Build a tool kit of coping methods and practice them. Relaxation is the cornerstone to spontaneous birth. Labor at home as long as possible with provider permission when applicable. Avoid continuous monitoring when at your birth place if possible. If continuous monitoring is necessary ask for wireless monitoring to facilitate coping skills. Use medications and interventions wisely. There are many tools for labor and they all have their place. However once we use a tool as anything but as an assistant then it becomes an intervention. Labor upright and change positions frequently whenever possible. An active mother is an active baby. Hire a professional Doula to assist you in your birth. This material is the intellectual property of Ursula Sabia Sukinik/Birth You Desire. Do not reproduce or distribute without written permission from owner. Copyright 2011. All rights reserved.